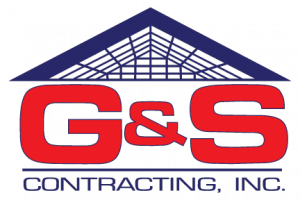 Cleaning Tips for Bay Windows | G&S Contracting, Inc. Gather the right materials: The tools you need to clean your windows properly are simple, but using the right tools makes a big difference. A squeegee is essential to get a professional looking finish on your windows. With the large area of bay windows, you may want to think about getting a large squeegee to make your job a bit easier. Another handy tool is a scrubber. You can use a sponge, but a scrubber will cover larger areas, which helps you save time cleaning your bay windows. Mix Your Cleaning Solution: In a large bucket, you can mix water and a small measuring of dish detergent or vinegar, or both. Follow the Right Pattern: Cleaning with a squeegee works well when you start by cleaning a small strip (about an inch) on one side of the window. Next, run the squeegee across the top of the window and work your way down. Remember to wipe the squeegee clean after each stroke. To finish, wipe the edges of the window with a microfiber cloth. Following these tips will help keep your bay windows sparkling clean and in great condition.